A super-lovely DVD-sized “DVStar” package with an 8-page booklet & 3 audio CDs (no DVD or video content). This is the 3-CD set only, no download. 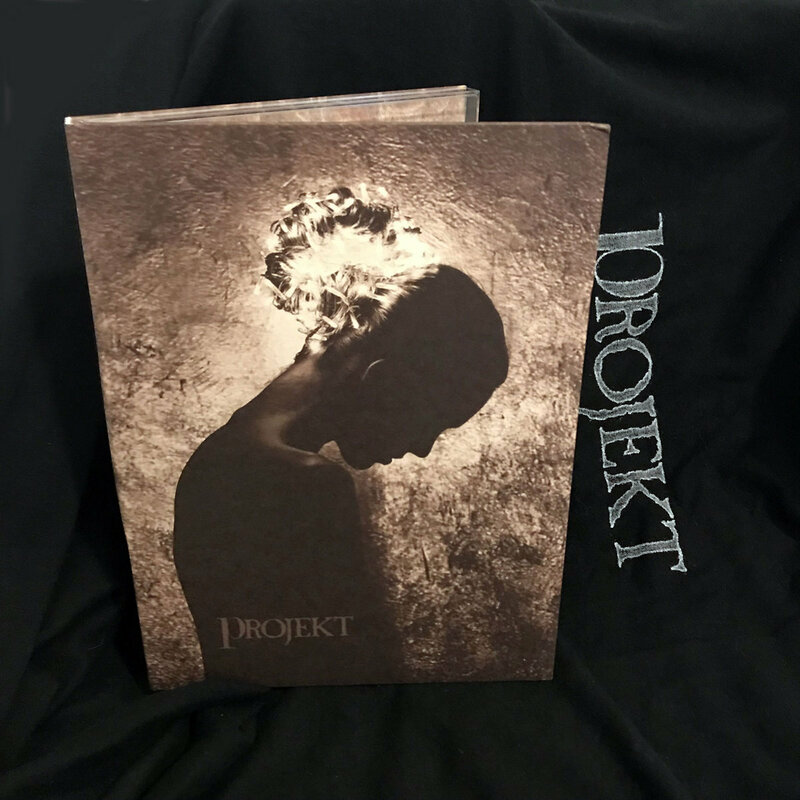 Sam says: Released over a decade ago in an edition of 2500, this is a beautiful 3CD collection of Projekt music. 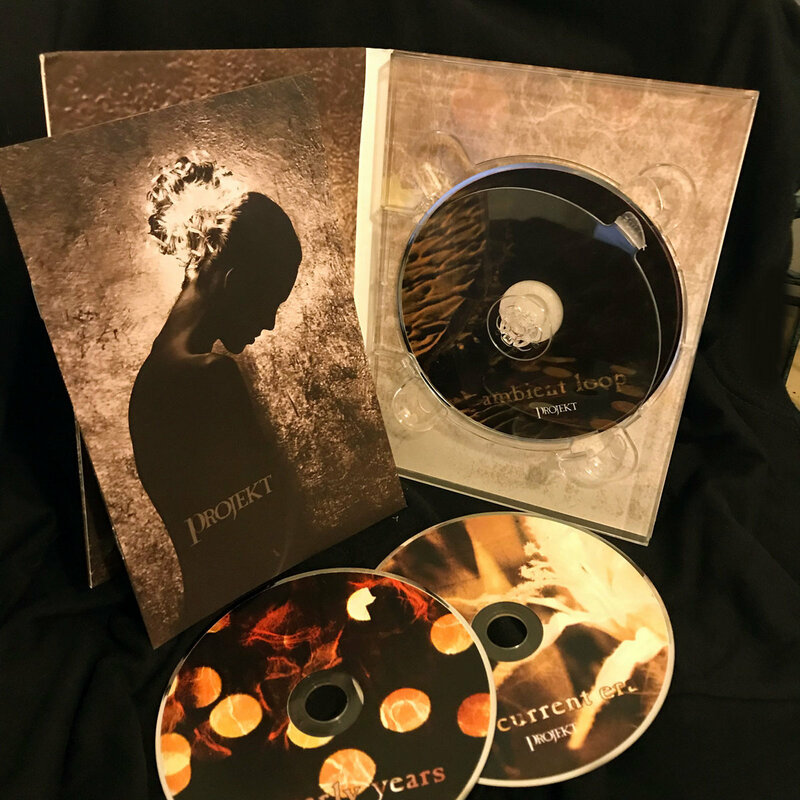 One disc of the early years, one disc of then-current artists, & one disc of ambient music. 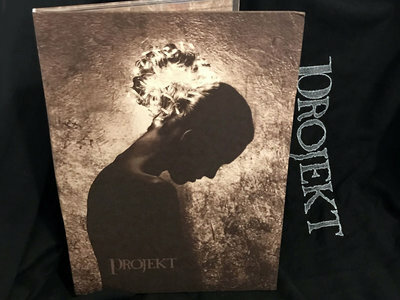 Alas, it was released right when CDs were dying at retail and people didn't experience this lovely look at the PROJEKT roster (and it was certainly priced to high, because that's the kinda thing you did back then when retail stores were clawing away a big chunk of the sales price). I have copies I'm selling at below my cost so people can hear and see this wonderful release. 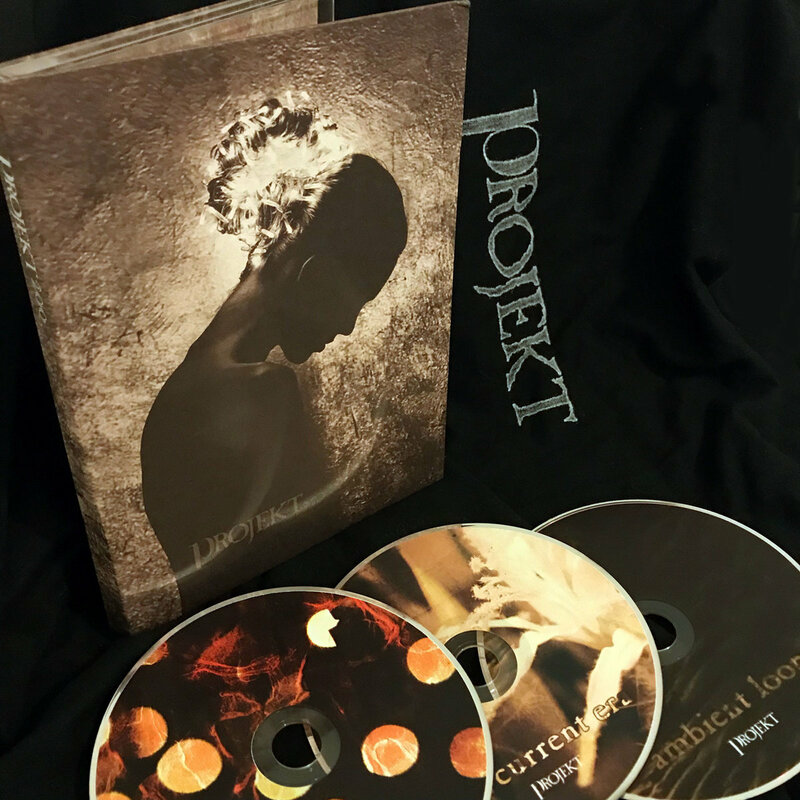 Projekt celebrates its 200th release with this limited edition 3-CD set. 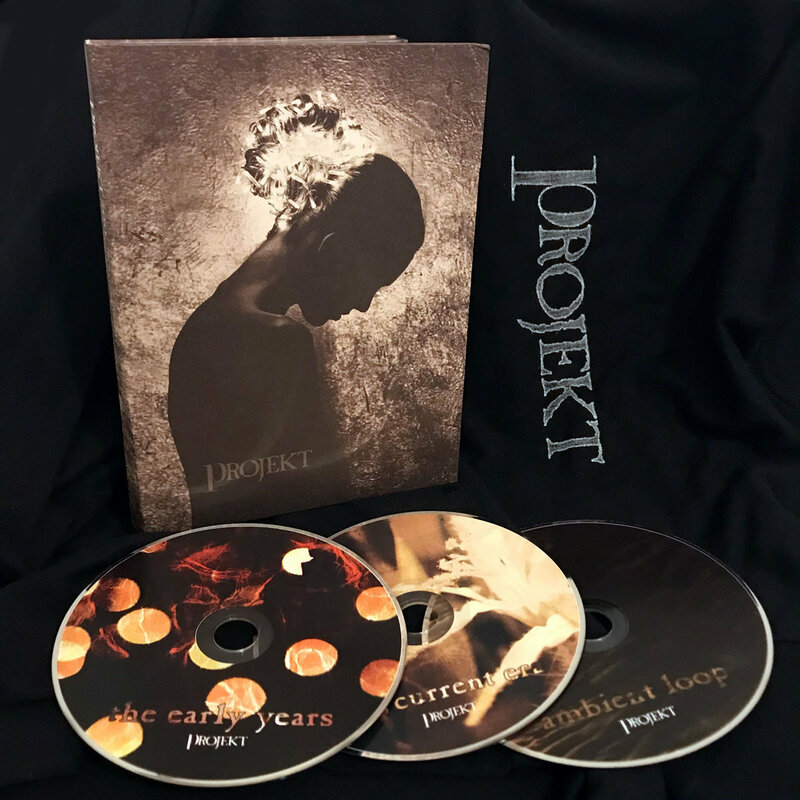 Begun in 1983, Projekt is America’s premier independent label specializing in passionate, intense music in the darkwave, shoegazer, dream-pop, ethereal & ambient genres. 32 songs plus brand new tracks recorded exclusively for PROJEKT200. Includes unlimited streaming of Soaked and Captured via the free Bandcamp app, plus high-quality download in MP3, FLAC and more.